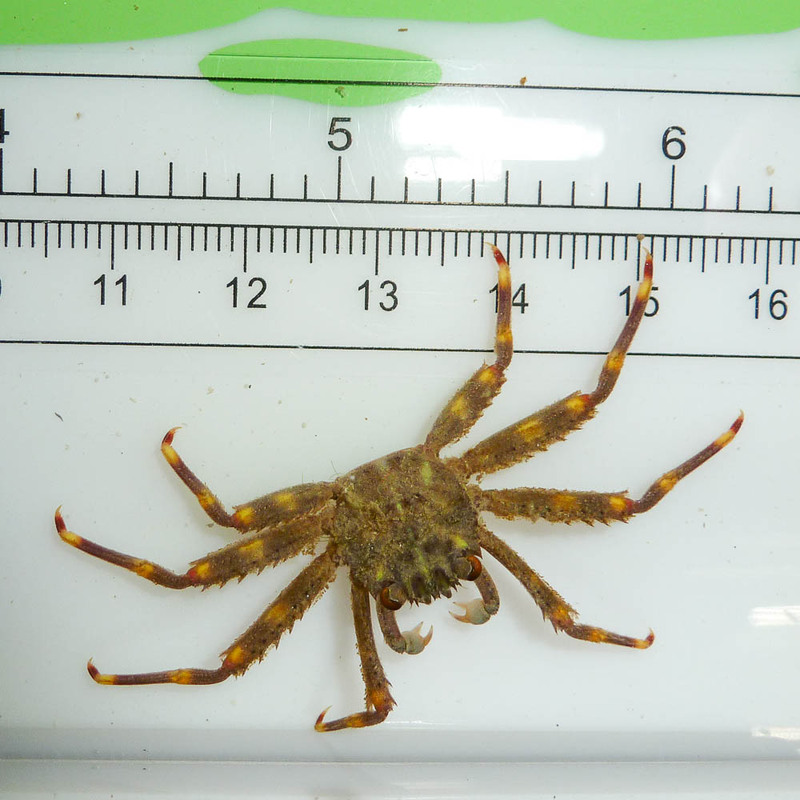 Approximate Purchase Size: 2" to 4"
Notes: The Saltwater Sally Lightfoot Crab is a scavenging crab that prefers to be in the rocks as it has a thin carapace and can maneuver into tight places to hide. They generally come out when there is food present. Diet may need to be supplemented with dried seaweed if there is not much to scavenge.